Are you CCP Level One? Have you received your pin or patch?? If not, send your mailing address to ccp@ciderassociation.org We are trying to get everyone their pin or patch in time for CiderCon! 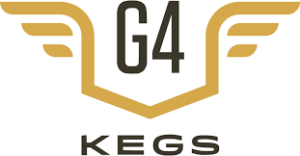 SPONSOR: G4 Kegs is one of the North America's leading keg suppliers and consultants to the cider industry. Whether you need 2 or 2,000 kegs, G4 works to supply our clients with the highest quality kegs at the best price. Read more here.